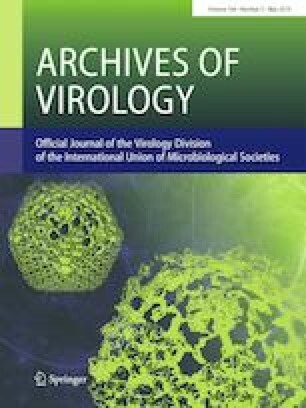 We describe an unexpected feature observed for the heterologous expression of the Thyrinteina arnobia cypovirus polyhedrin from a recombinant baculovirus infection in different insect cell lines. The in cellulo-formed crystals varied in size and shape depending on the cell line. Crystals formed in Trichoplusia ni-derived cells were cubic (0.1-2 μm) and localized in both the nucleus and cytoplasm, whereas those formed in Spodoptera frugiperda-derived cells were ovate and ellipsoidal (0.1-3 μm) and also localized in both the nucleus and cytoplasm. The molecular basis for differences in the morphology, size, and location of cypovirus occlusion bodies is unclear, and cellular proteins might play a role in their formation and location. Leonardo A. Silva and Daniel M. P. Ardisson-Araújo contributed equally. The online version of this article ( https://doi.org/10.1007/s00705-019-04214-z) contains supplementary material, which is available to authorized users. This work was supported by Conselho Nacional de Desenvolvimento Científico e Tecnológico (CNPq, grant number 407908/2013-7) and Fundação de Apoio à Pesquisa do Distrito Federal (FAPDF, grant number 193.001532/2016).